A major new book telling the story of music and conflict in Northern Ireland since 1968 will be previewed at the British Council’s ‘Peace and Beyond’ conference opening and civic reception at Belfast City Hall on Tuesday 10 April. 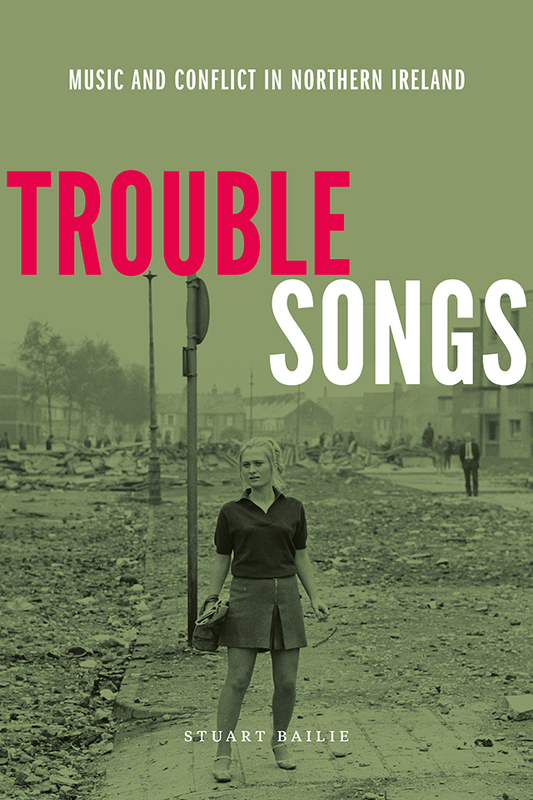 Written by Belfast-based music journalist and broadcaster Stuart Bailie, ‘Trouble Songs – Music and Conflict in Northern Ireland’ features interviews with Bono, Christy Moore, The Undertones, Stiff Little Fingers, Orbital, Kevin Rowland, Terri Hooley, The Rubberbandits and The Miami Showband survivors reflecting on the events of the conflict. The soundtrack includes remarkable work by John Lennon, Paul McCartney, Sinead O’Connor, The Pogues, The Cranberries and Elvis Costello. The ‘Peace and Beyond’ conference will bring together practitioners, academics, policy makers and young leaders from all over the world to mark the 20th anniversary of the Belfast/Good Friday Agreement and Stuart has been invited to give an exclusive reading from ‘Trouble Songs’ at a special gala event at Belfast City Hall. ‘Trouble Songs’ is supported by the British Council and the Arts Council of Northern Ireland's National Lottery funds. It is published by Bloomfield Press, a collaboration between the author and EastSide Arts, Belfast.